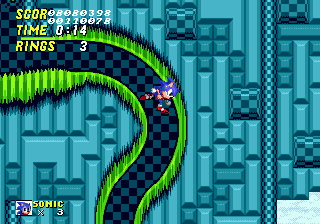 The code for Sonic to turn into a ball as soon as he inserts himself into a wall pipe has yet to be completed, so Sonic can easily walk down these twisty areas with no problems. The end post for Act 1 is in an odd position, it's lower into the ground than it should be. 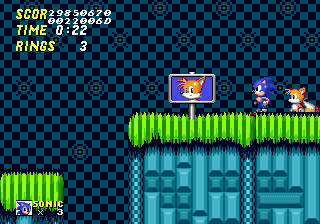 Act 2 will suddenly finish with this sign post. 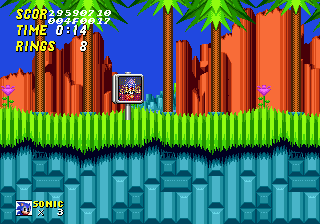 The final has no sign post in Act 2, as you must attack Eggman.